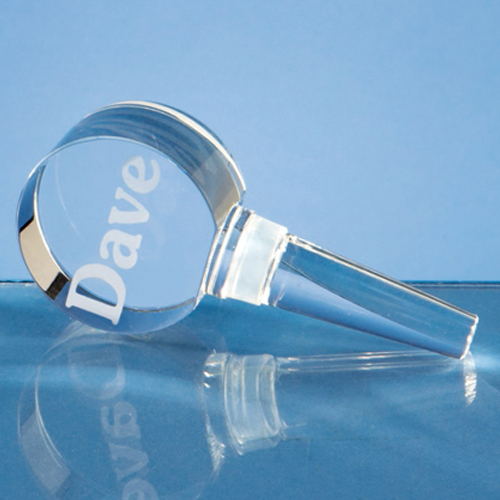 The 10cm optical crystal bottle stopper is a great keepsake gift, there is a small engraving area that can be personalised with any logo, crest or wording. It is perfect for weddings as a gift or as a favour. Eng. Area: H: 35mm Dia.